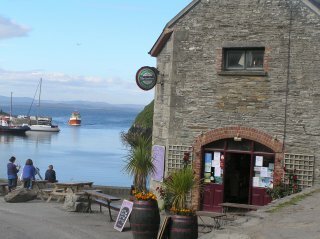 We offer intenet acces within the harbour area and beyond both within the shop and for your own laptop / pc which has wireless access to our hotspot. We offer a range of access times to suit your needs. There is no need to use all of the time in one go. You can log off at any point and return later to use your remaining credit. If you enter an email address you will be sent an email containing your siopa Beag access details in addition to them being displayed on the screen. Your email address will never be used for any other purpose.